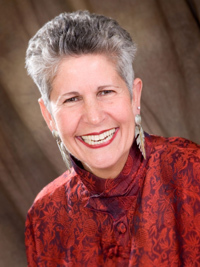 Holly Elissa Bruno, MA, JD, is an author, attorney, professor, acclaimed keynote speaker, and host of an online radio program. She is an alumna of Harvard University's Institute for Educational Management, teaches leadership courses for The McCormick Center for Early Childhood Leadership and Wheelock College, and is a frequent contributor to Child Care Information Exchange and the National Association for the Education of Young Children's Young Children publication. Previously, Holly Elissa served as Assistant Attorney General for the state of Maine and Assistant Dean at the University of Maine School of Law. 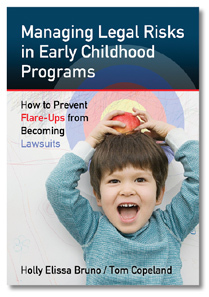 Holly Elissa's books include What You Need to Lead an Early Childhood Program: Emotional Intelligence in Practice, Managing Legal Risks in Early Childhood Programs, and Learning from the Bumps in the Road: Insights from Early Childhood Leaders. Educators are among the most loving and nurturing people on earth. Yet those same caring adults are too often very hard on themselves. The Comfort of Little Things provides strategies and tips on how to give yourself a second chance. Drawing on the growing body of brain research along with personal experience and stories from educators, Holly Elissa Bruno fills her book with ideas that will help you see the world with the wonder of a child. You can learn to open yourself to the moment, to look at yourself anew, and to let go of negativity. As she writes, "Second chances come from letting go of what holds us back. These second chances take more work. The work is always rewarded. Fear not."